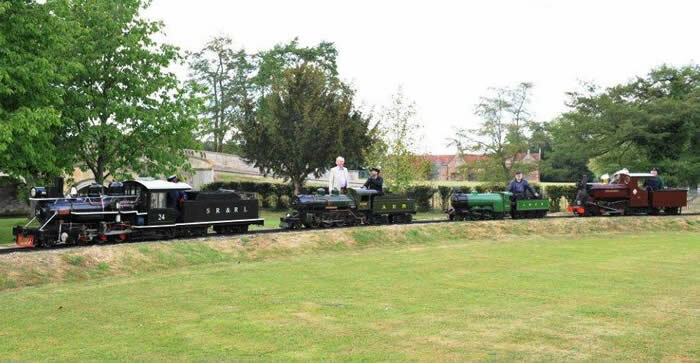 The Audley End Miniature Railway first opened in 1964. Owned by Lord Braybrooke, trains depart from Audley End station which is opposite the houses gates. The journey for begins by passing by the shed area where you will see some lovely locomotives all but one built by the late David Curwen. You then come into a woodland area where you will cross over the River Fulfen and River Cam. Whilst in the woodlands you pass Forest deep halt and go through a long tunnel. Trains then return on the original route, round another loop and back into the station. This railway has a wide range of locomotives and teddy bears too! Address: Audley End Road, Saffron Walden, Essex, CB11. Opening Times: Every weekend from 24th March to 31st October plus daily during local school holidays. 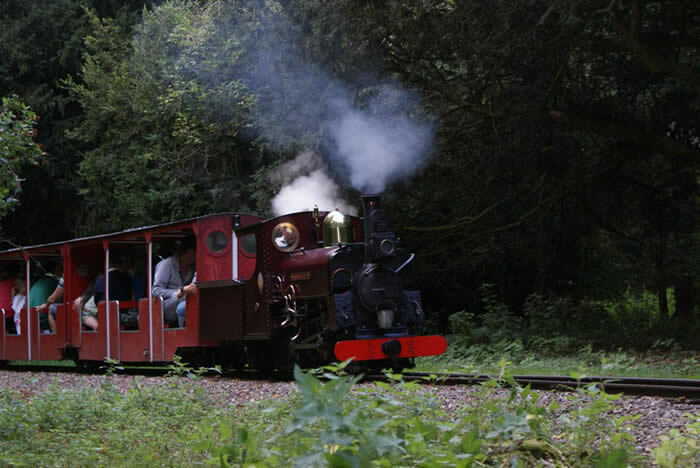 Trains run from 12pm all running days except bank holidays & special events which run from 11am. The last steam train departs at 4:00, but the last diesel train is at 4:45pm. AEMR Page was last updated on the 9th February 2013 with photos, fares, opening times and locomotive details updated.